Gravelines-Dunkerque broke Le Portel in the second quarter and managed to keep the distance until the end for a home win in French League. Gravelines-Dunkerque improved to 9-7 after an 86-71 home win over Le Portel (5-11) on Day 16 of French League. Kendall Anthony led the way with 15 points in addition to Scott Wood’s 14 points. For Le Portel, O.D. Anosike scored game-high 19 points along with eight rebounds. Lyon-Villeurbanne still alone at the top with 13-3 despite the loss against third-placed Nanterre (10-6). Pau-Lacq-Orthez is second with 11-5. 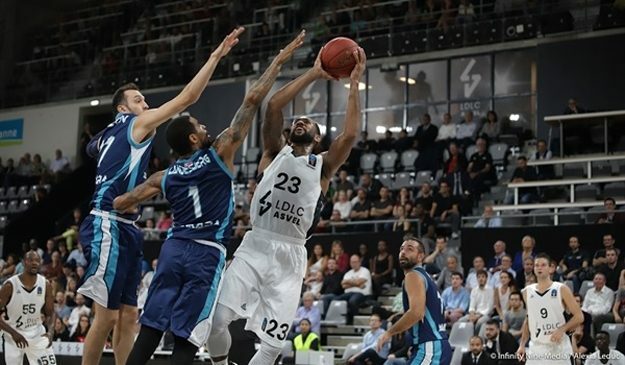 Antibes stayed at the bottom with a 3-13 record.